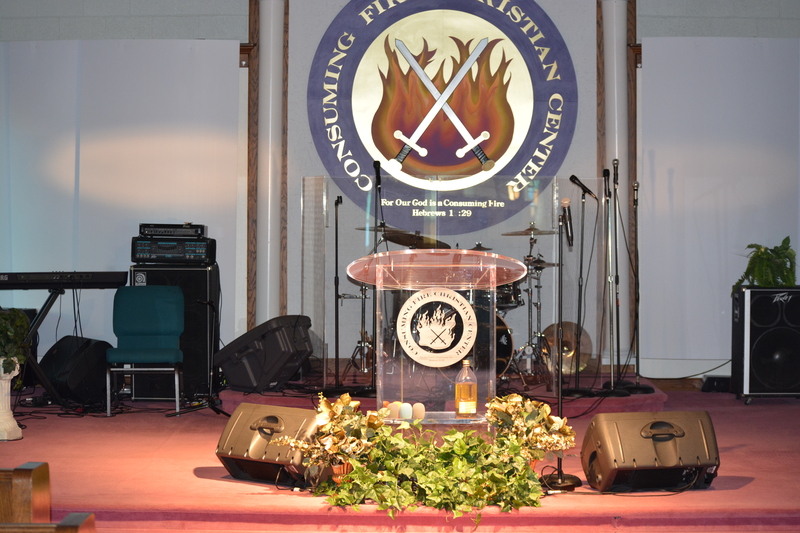 Consuming Fire Christian Center was birthed from an encounter with God at a prayer meeting. The Ministry began September 2001 at the John Grace Community Center in Southfield, Michigan. Since that time, the fire of God has consumed our ministry. Signs, Wonders, Healings, Miracles and Life Changing experiences have impacted many as the Word of God is declared. We declare the clarion call to the Body of Christ to position themselves for the Latter Glory—proclaiming the Word of God with Inspiration, Power and Dynamic demonstration of the Holy Spirit to this last day generation. It is our Pastor’s desire to impart into each person a passion for Jesus, Empowerment of the Holy Spirit and to rebuild the tabernacle of David – A worshipper. We are pursuing the return of the Glory of God back to His Church. We are non-denominational and are founded upon the teachings of the Bible. We believe in fellowship with all believers no matter what denomination.